Most people in the fundraising or nonprofit space are aware of the importance of major gifts. While these are not always the easiest to identify and secure, major gifts can be some of the most impactful donations to your organization each year. Like major gifts from your donors, sponsorship dollars donated for fundraising events can result in rapid growth for your event and can make a major difference in the amount that your fundraiser donates – and thus, the success of your event. Although major gifts and sponsorship for fundraising events are different in many ways, making both a part of your overall donation mix will result in a balanced “portfolio” and healthy fund for your nonprofit. Additionally, your success in securing either (or both) forms of these donations will vastly improve if you implement an effective process and strategy. 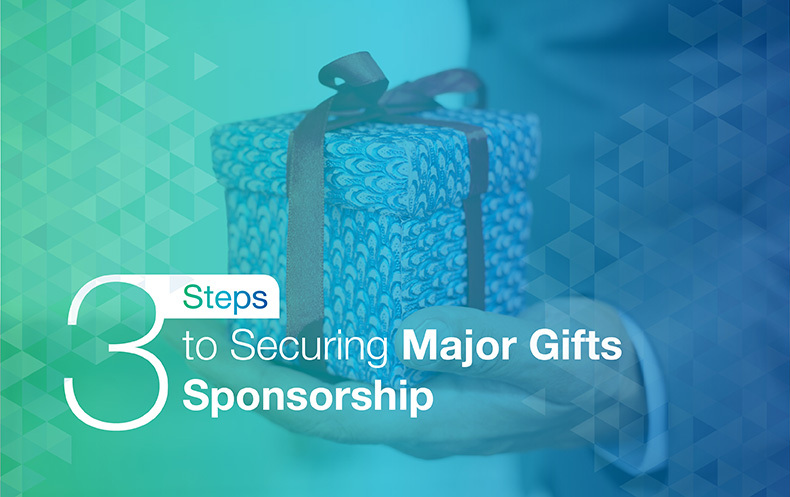 In this post, we are going to walk you through strategies you can use to identify and secure major gifts and fundraising event sponsorship. You’ll see that the strategies have many similarities! Whether you are focusing on major gifts or fundraising event sponsorship, your first step will be to identify potential targets who will be willing to donate to your cause or nonprofit. Identification is a crucial step in the process and will ultimately set you and your team up for success in pursuing either major gifts or fundraiser sponsorship. Donation Size – Those donors who have already contributed substantially to your organization are great candidates for major gifts as they may have the means and passion to support your cause. While looking at specific donor histories, look for donation patterns – has the donor’s contribution increased year over year? If so, you may be onto something! Donation Frequency – While donation size is a great sign to use to find potential major gift donors, so too is donation frequency. Looking at your list of donors, you should have the capability to see how often your donors are contributing to your nonprofit. Those donors who have come back time and time again to support you are showing both their loyalty and passion for your cause, and that makes them perfect potential candidates for major gift-giving! Event Size – How big is your fundraising event? Is it a gathering of 20 people? 200? 2,000? Based on the size of your event, you may be appealing to a different kind of sponsor. For example, a local business or restaurant may be a perfect target for sponsorship for a small event, while larger events can garner attention from larger corporations. Audience Demographic – As you organize your event, think hard about the target audience that will be attending. If you have run the event in the past, look at historical data to get a better idea of who your audience is. Your audience demographic will help you to focus your identification of potential targets as certain corporations and businesses want to have their name in front of their ideal audience when offering monetary contributions. Does your audience skew younger or older? Urban or suburban? Based on these answers, you can come up with a list of potential companies to target for sponsorship. I personally organize an event in Boston each year which hosts over 1,000 attendees – all of whom are young professionals/millennials. Knowing this about our audience allows our committee to target sponsors who are interested in gaining exposure to younger groups – here, we focus on a lot of tech companies, fitness companies, and lifestyle brands. Once you’ve identified your best potential major gift donors or fundraising event sponsor targets, it’s time to begin building a relationship with them. Frequent Updates – Keeping your donors updated about any progress your nonprofit has made is a great tactic to generate continued interest from your key donors. These updates will also make your donors feel closer and more involved, and they will then be more likely to contribute at a larger level. Updates can include anything from a recap of a recent fundraising event to the progress of a special project that your organization has been using donations to partially or fully fund. Volunteer Opportunities – Taking the idea of updates a step further, we suggest inviting your donors to volunteer at different events or activities that your nonprofit is organizing. Volunteer opportunities require action from your donors and encourage them to feel that they are helping on a greater level than when they write a check. Exclusive Invitations – As you begin to build a relationship with some of your best donors, you can begin offering exclusive invites for them to see the inner workings of your organization. This could be anything from a private tour to VIP passes for a program or event run by your nonprofit. In-Person Meetings – Finally, having a significant member of your team invite your best donors for an in-person meeting (lunch works, too!) is a great way to build a meaningful relationship with your donors. Not only will they feel like they have exclusive access to a prominent member of your organization, but they will be able to ask questions and learn more about the goals of the nonprofit. This knowledge will empower your donors and can lead to even larger contributions such as major gifts. Finally, in-person meetings will be the time to ask for a major gift, as something this significant certainly warrants an in-person ask! Set a goal – This can be a personal goal or one that applies to your entire team or committee. 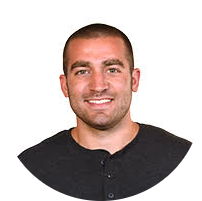 Certain goals to establish include number of conversations per week, with a conversation consisting of an email, meeting, or phone call with a new potential sponsor. Track the conversations – Having your team track the companies that they are communicating with will keep your process organized and efficient by avoiding overlap. Meet regularly with your committee in order to discuss the status of potential sponsorships, and talk about any new tips or strategies your team has uncovered throughout the process. Create competitions for your team as a means of motivation, and provide consistent updates on which members of your committee have closed sponsorship deals. Regardless of your chosen method, make sure your thank-yous are personal, detailed, and encouraging. Realizing the importance of major gifts and fundraising event sponsorship is easy. The hard part is putting in place an effective strategy to secure these crucial donations for your organization. We hope this post will help you to do just that as you begin your quest for major gifts and sponsorship – Good luck!